How do you complete the Individual Student graph? 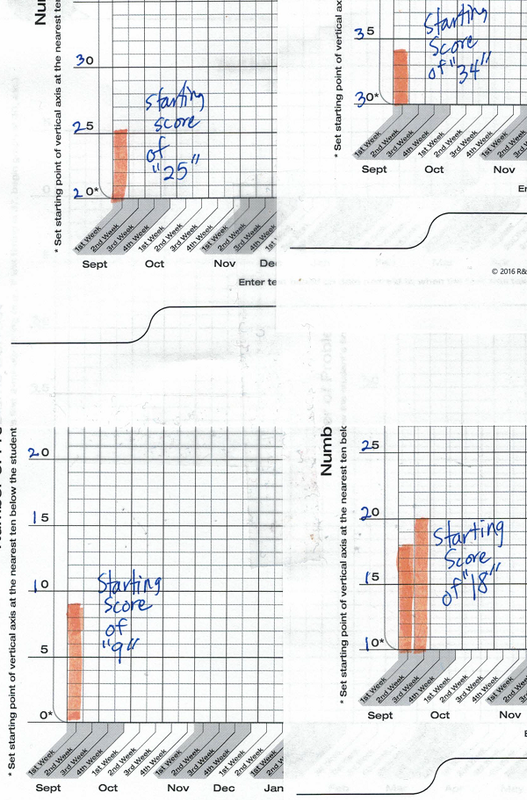 Here are four examples of how to complete the vertical axis on the Individual Student Graph. I have a question about the Individual Student graph form. Can you send me example of a completed graph? I understand marking 10 points lower but the 0…5…..0…5….0…5 axis confused me. If a picture is worth a thousand words, then these four examples should make the procedure clearer. Thanks for asking for examples–which is often the best way to explain/teach something! This entry was posted in How to use Rocket Math and tagged organizing. Bookmark the permalink. ← Must students say math facts in a certain order?